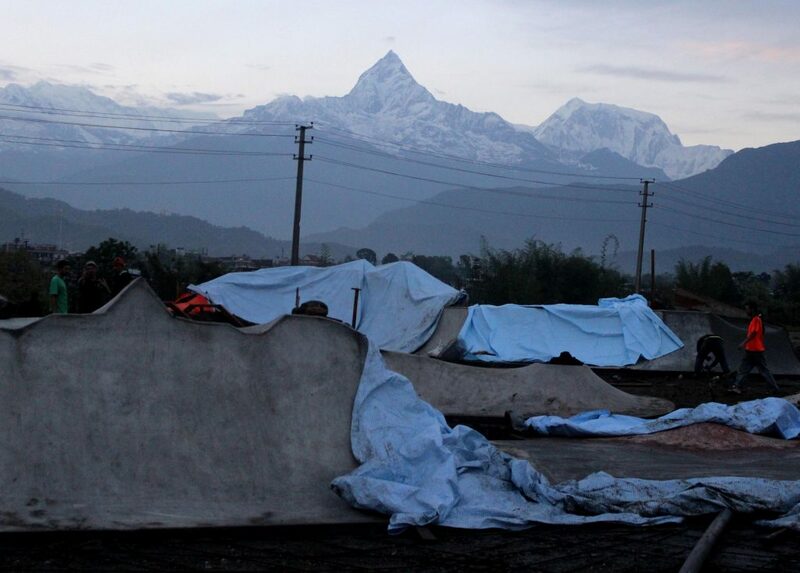 Heaven is a myth, the skatepark in Nepal is real. Skateboarding is becoming increasingly popular, right across the world. This popularity has led to a growth in non-profit organisations that are trying to help community skate scenes where local and national governments fail. I was first introduced to the Nepalese skate scene by ‘Skate Nepal’ which is a new non-profit organisation based in London. It’s aims are to “spread awareness of the social, creative and cultural benefits of skateboarding to all generations in Nepal”. Although skateboarding is still in its infancy in Nepal, the growing scene of skateboarders in various towns and cities around the country need all the help they can get to progress in their new found sport. 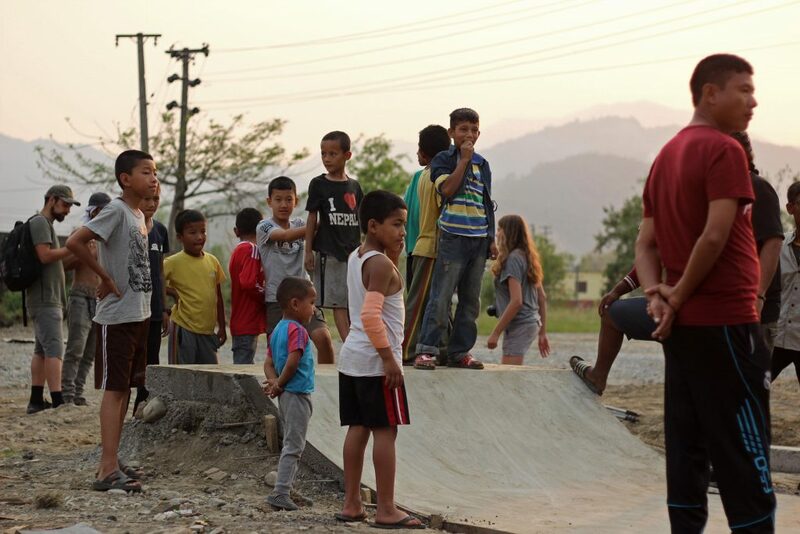 Back in November 2016, or Kartik 2073 if you’re going by the Nepali calendar, Make Life Skate Life (MLSL) teamed up with ‘Skate Nepal’ alongside ‘The Community Collective’ and ‘ALIS’ to redevelop and improve an existing skate space in Kathmandu. The project was a complete success and has encouraged the spread of skateboarding in the city. Following this success, attention was then turned towards Pokhara. 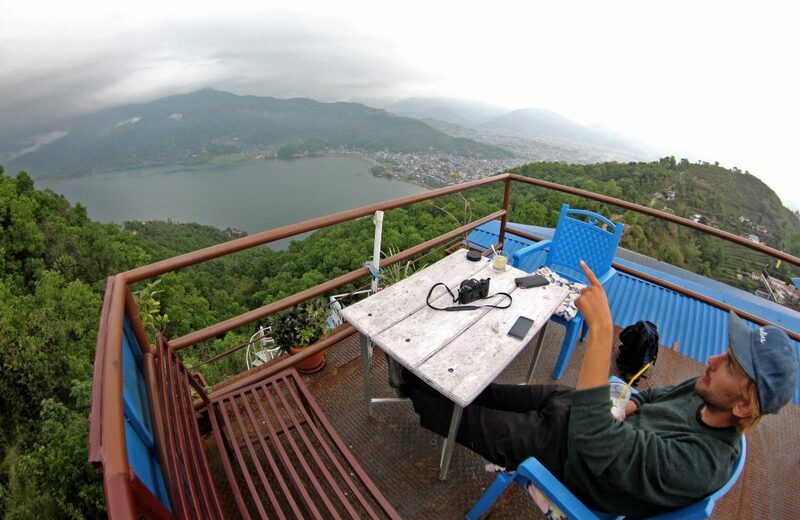 127 miles away from the overpopulated and polluted capital Kathmandu, Pokhara, which is the second largest city in Nepal, provides a more blissful experience. Stretching along the shore of the tranquil Phewa lake with bobbing paddle boats that are available to hire out, the Lakeside district is a popular destination for tourists. 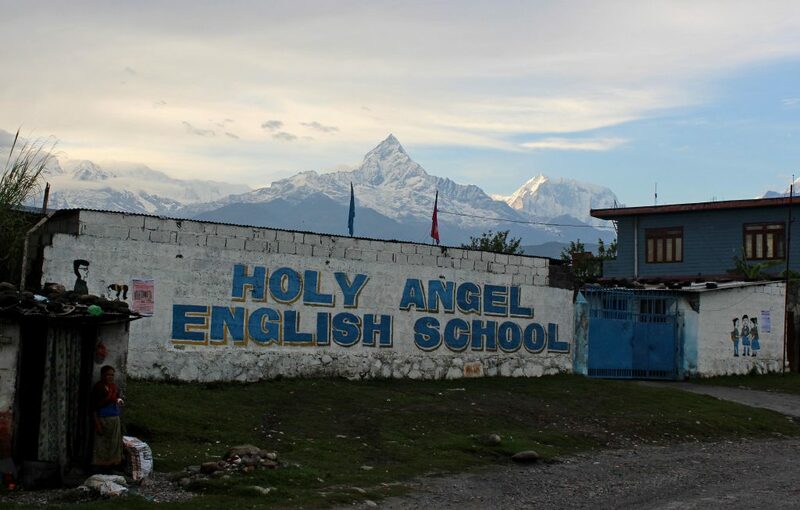 You can relax whilst enjoying a clear view of the Himalayan snow-capped mountains, trek the Annapurna Circuit, paraglide from Sarangkot mountain and rent motorcycles to go on day trips. Pokhara appears to be a forward looking place that is attempting to keep up to date with cultural and sporting scenes flourishing in other parts of the world, skateboarding being one of these. 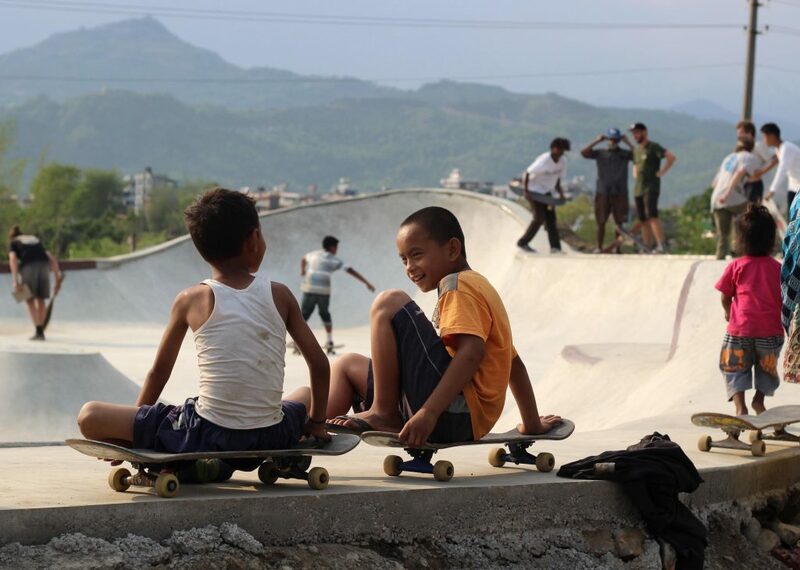 There has been a small skate scene in Pokhara for sometime now, centred around a small DIY skatepark that was funded and built by Pokhreli Ram Koirala in an effort to provide the Pokhreli monomaniacs with a space to occupy in the heart of the Lakeside district. However, after four years of being shredded by skaters, the park is somewhat damaged. For this reason, ‘MLSL’ teamed up with Ram and others on the ground to help create a bigger and more functional space. 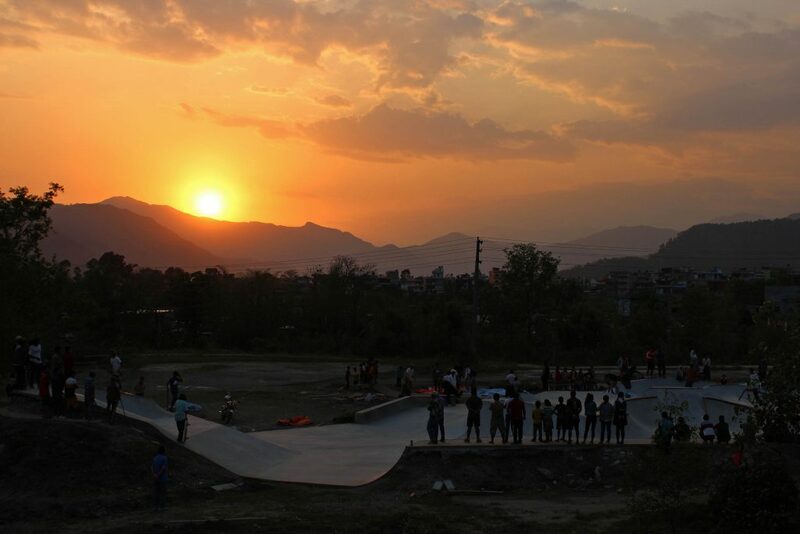 With the help of Ram, ‘MLSL’ secured donated land of around 500 square meters at a local olympic sports park as well as permission from the municipality of Pokhara and raised close to $20,000 through an online fundraiser to construct the new Annapurna skatepark. 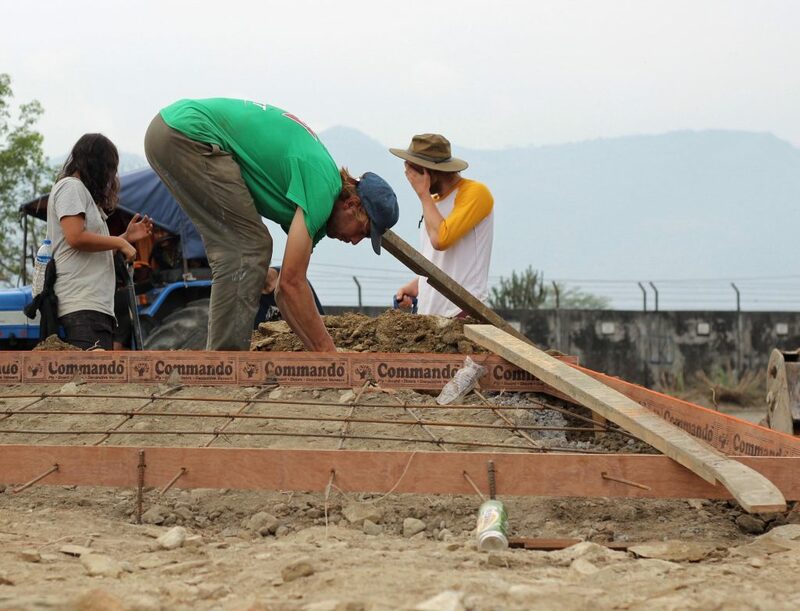 In April 2017, an international group of over 30 volunteers began arriving in Pokhara to begin construction. With leadership from Jon Chaconas and Samantha Robison and a general plan designed by Wade Trepan the group of volunteers motivated by Baz Guinness completed the build in an impressive 18 days, fortified by helpings of delicious Dal Bhat provided everyday by locals. 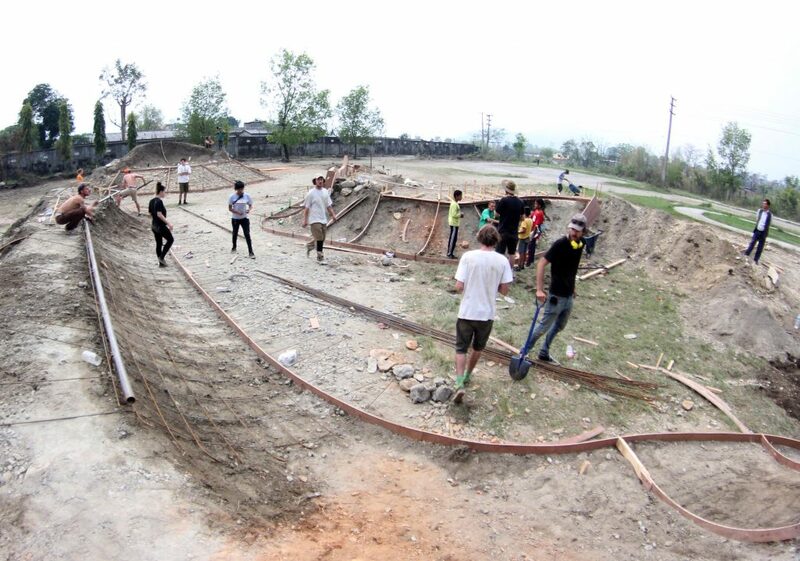 The local skaters in Pokhara also assisted along the way which hopefully provided them with a basic understanding and skills level in concrete skatepark construction that will help improve the maintenance of the park in the years to come. Following on from the build, In May a female collective ‘Refurb Skate’ from New Zealand hosted a workshop for three weeks to introduce girls to skateboarding and to encourage them to appropriate the space for themselves. It is still the long term goal of ‘MLSL’ to “implement a free of charge loaner system at Annapurna Skatepark to enable all youth access to skateboarding equipment and safety gear, regardless of economic standing”. 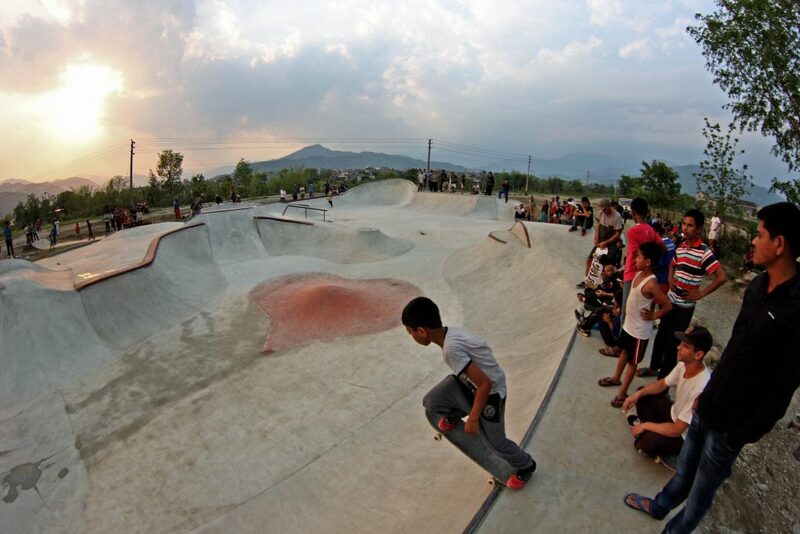 As ‘Skate Nepal’ has noted, Pokhara now has a world class skatepark for local youth to unleash their creativity. Skateboarding provides many potential benefits for social change and empowerment particularly amongst the younger generation. It encourages development of skills in an array of different areas be they social, physical and mental. 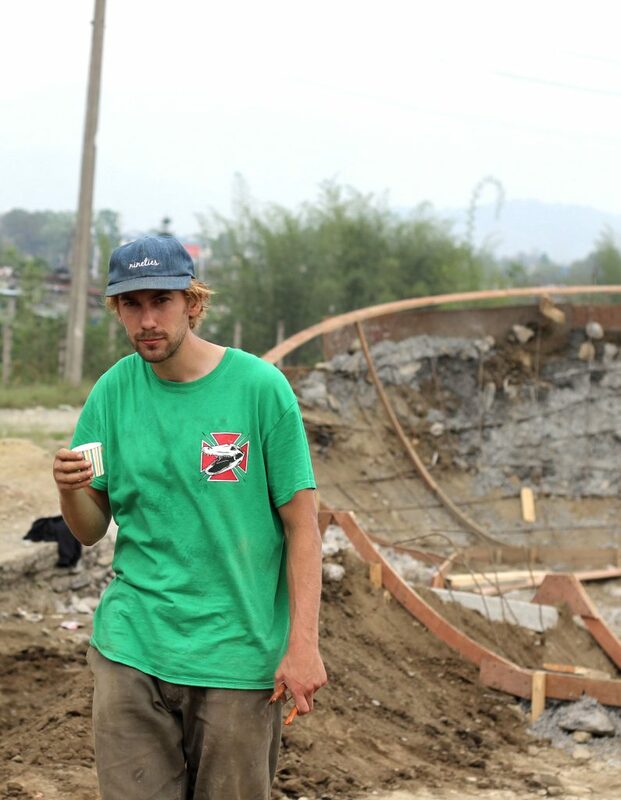 The construction of the Annapurna now means that the local skateboarding community can grow and flourish. Since its completion the number of people from various different ages participating in skateboarding has skyrocketed at rates never seen before. 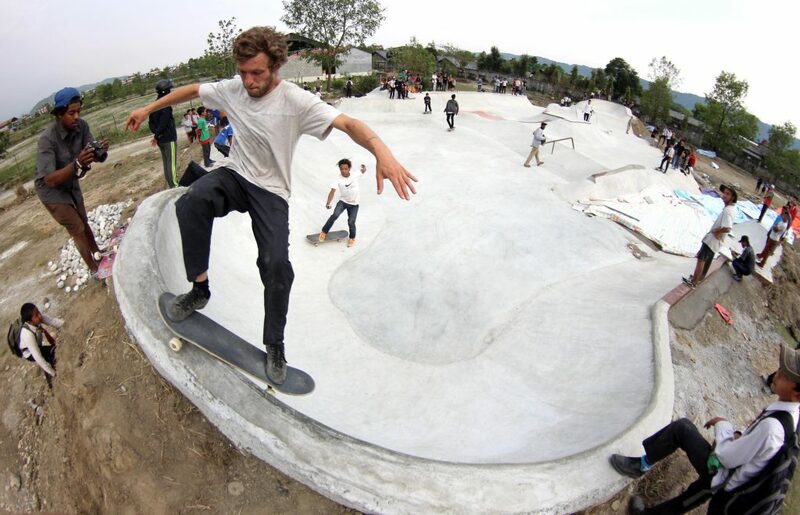 Furthermore the skatepark is of competition standard, which means that the park can be considered for holding world class competitions which will attract many visitors to Nepal. 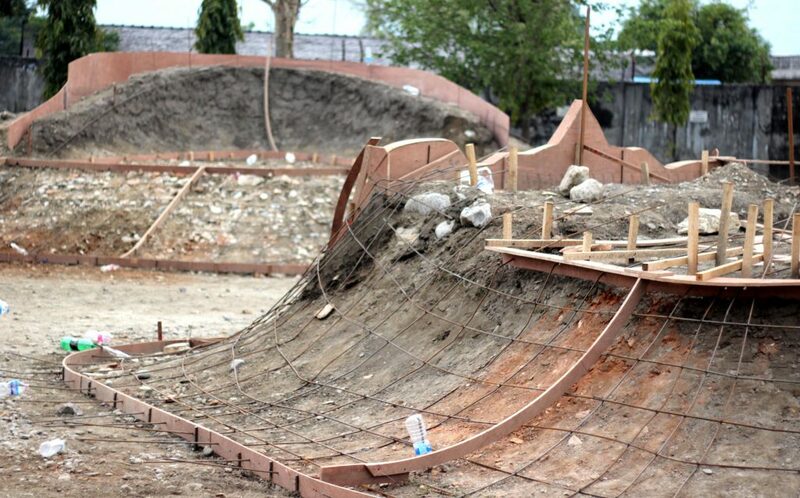 Together with the Kathmandu park this new facility will hopefully provide a springboard from which the skateboarders of Nepal can reach a level of performance high enough to eventually compete in competitions around Asia and the rest of the world. So who knows, perhaps you’ll see a Nepalese skateboarder competing in the Olympics some day. Thanks to Chris, Louis and everyone who has supported this incredible project.